Shirlee (Kaus) Swanberg, age 84 of Glenwood, died Thursday, July 5, 2018 at the Glenwood Retirement Village. A memorial service will be held on Saturday, August 18th at 1:00 pm at Glenwood Lutheran Church with Rev. Krista Lee officiating. Visitation will be one hour prior to the service at the church. Inurnment will be in the Glenwood Lutheran Cemetery. Arrangements are with the Hoplin-Hitchcock Funeral Home in Glenwood. Shirlee Diane Kaus, the daughter of Edmund and Mary (Graves) Kaus was born December 18, 1933 in Minneapolis, Minnesota. She moved with her family to Whitehall, Montana in 1946. She graduated high school in Whitehall and was confirmed in Butte, Montana at St. Mark’s Lutheran. After graduation, Shirlee furthered her education at Montana State University in Bozeman. She obtained her LPN at Deaconess Hospital and worked as a nurse in Bozeman, Sioux Valley Hospital in Sioux Falls, SD, Glacial Ridge Hospital in Glenwood and later at Glenwood Retirement Village. Shirlee was united in marriage to John Marvick “Marv” Swanberg on June 18, 1959 at Glenwood Lutheran Church in Glenwood, Minnesota. They were blessed with four children: Brian, Paula, Anne and Amanda “Amy”. Shirlee and Marv made their home in various towns moving for Marv’s Naval career. In 1974 when Marv retired, the couple moved their family to Glenwood. They shared 51 years of marriage before Marv passed away on October 6, 2010. 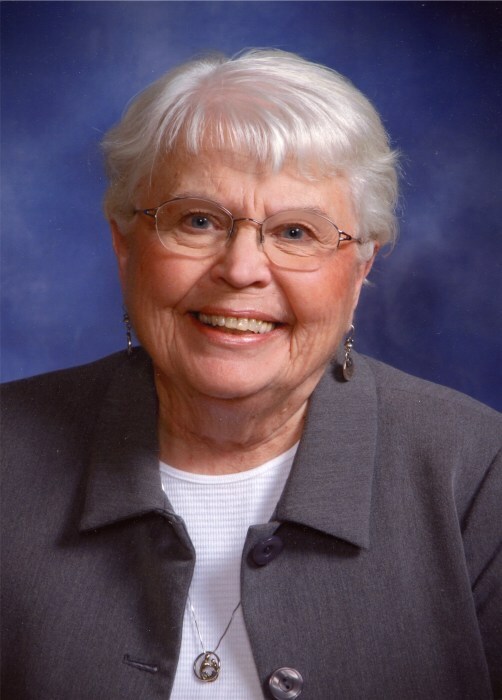 Shirlee was active in church activities wherever she lived; teaching Sunday School, holding church offices, being on the alter guild, and in circle. She was also a volunteer for Hospice. She really enjoyed being included in a whist club which has been in existence since 1956. She also enjoyed taking college classes in various subjects, reading, traveling, music (jazz and classical in particular) and volunteering for many local projects in the community. She especially loved spending time with her children and grandchildren. She is survived by her children: Brian Swanberg of Oakdale, MN; Paula (Paul) Murray of Champlin, MN, Anne Swanberg of Apple Valley, MN and Amanda “Amy” Swanberg of Burnsville, MN; grandchildren: Breanna (Chris) Colaianni, Jessica (Tim) Sikich, Jacob Murray, Tyler Mary Swanberg and Jennifer Nicole Wilts; great-grandson, Silas Colaianni; siblings: Marlene (Stanley) Grout of Medford, OR, and Charles Kaus of Hot Springs, SD; sister-in-law, Carol Kaus of Glenwood; nieces, nephews other relatives and friends. Shirlee was preceded in death by her parents; husband, Marv; and brother, Richard Kaus.